Just Genesis : Does Political Zionism Align with the Bible? Does Political Zionism Align with the Bible? All peoples have a yearning for a homeland because it defines their ethnic identity. Scots who came to North America named the places where they settled after their native land: Nova Scotia. Midlothia, Inverness, Kirkland, etc. It is natural for dispersed peoples to yearn for the homeland, be it a real or an imagined. This is especially true when the homeland has been perceived to have been lost. The earliest sentiments of yearning can be traced to the Babylonian exile when the people of Judah yearned for restoration. Yearning for a homeland is reinforced by experiences of separation and loss, be they real or imagined. The modern state of Israel was settled mainly by Ashkenazi Jews whose ancestors settled in France, the Rhine Valley and Poland. They are descendants of non-Jewish mothers and therefore not ethnically Jews. In fact, studies reveal that Ashkenazi Jews are genetically closer to the old Welsh than to most Arab populations. "[...] Professor Martin Richards, who heads the University of Huddersfield's Archaeogenetics Research Group (and who participated in the 2002 study), and colleagues sequenced 74 mitochondrial genomes and analyzed more than 3,500 mitochondrial genomes - far more data than the 2006 survey, which reviewed only a short length of the mitochondrial DNA, containing just 1,000 or so of its 16,600 DNA units, in all their subjects. [...] According to Nicholas Wade of the New York Times, Doron Behar, one of the key authors of the 2006 analysis, said he disagreed with the conclusions, but has provided no detailed critique as yet. Wade also talked to David Goldstein, who said he believed the estimate that 80 percent of Ashkenazi Jewry originated in Europe was too high considering the unpredictability of mitochondrial DNA data. [...]"
The Jews did not come to Israel from anywhere else at any time. They have been there from time immemorial. They became a coherent people there, discovered God there, built a kingdom there, created the Torah there, and composed much of the Talmud there. Attempts to evict them partly succeeded, but their presence there has always been significant. Wherever they were in exile they longed to go back there, and in every generation some did. Their presence there is permanent, and future attempts to evict them will incur a huge cost. However, this justification does not find support in Scripture, history or science. Zionism as a political and religious ideology represents the gradual building up of a belief that has little to do with the Bible or anthropological evidence. According to the Hebrew Bible (Old Testament) Abraham's territory extended between his two wives. Sarah resided in Hebron and Keturah resided in Beersheba. Both Hebron and Beersheba were in ancient Edom. Edom was ruler by the Horites. Abraham was a Horite ruler. The Horites were a caste of ruler-priests who were devotees of Ra, Horus and his mother Hathor. Hathor was the patroness of Horite metal workers. Her shrine was found at the metal working site of Timnah. The Horite metal workers of Edom used the same techniques as the Horite metal workers who lived in the Timnah Valley in the Wilderness of Paran. Esau the Elder's son Eliphaz married Seir's daughter who was named Timnah. The Horite rulers of Edom are listed in Genesis 36. Edom was ruled by the Horite clans of Seir and Esau the Elder who married Adah. Esau the Elder was a contemporary of Seir the Horite. 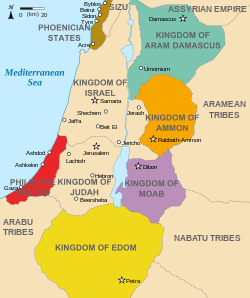 Abraham's territory was entirely in the region of Edom. It extended between on a north-south axis between Hebron and Beersheba and on an east-west axis between Engedi and Gerar. This region was called Idumea by the Greeks which means "land of red people." Esau, Abraham's grandson, and David are described as having a distinctive red skin tone. It is a characteristic of the R1b rulers who were aggressive kingdom builders. Their point of origin is the Nile Valley during the African Wet Period. An early population living in Wales and Cornwall were the Damoni, which means “red people.” The word Dam-oni is derived from two words found in the Bible: dam, a reference to red and blood, and oni/On, a reference to the great shrine city of Heliopolis, biblical On (Genesis 41:45). Joseph married the daughter of a priest of On. The Dam-oni may have come from Carnac (Karnac) in Brittany because the stone monoliths in Damnonia are like those in Carnac, though smaller. On the Nile, the ancient shrine at Karnak was built with huge stones by skillful craftsmen, the likely ancestors of these early inhabitants of Cornwall. mark the northern and southern boundaries of ancient Idumea. 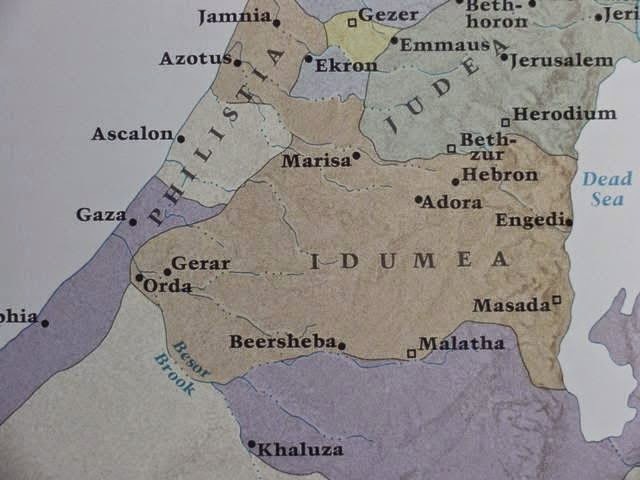 and was entirely in the region of Edom/Idumea. The claim that God gave Abraham the land of Israel is not supported by the biblical evidence. This ideological claim is rooted less in the Bible than in what the rabbis have written and in the political realities facing Palestinians and Israelis today. Y-chromosome studies have shown that 2/3 of Palestinians and 2/3 of Jews share 3 male ancestors who lived about 8000 years ago. These are the descendants of Abraham's Proto-Saharan ancestors, some of whom who are listed in the Genesis King Lists. Anthropologists have learned a great deal about the kingdom-building activities of these archaic rulers. Zionism is well entrenched in American academia. Shaye Cohen at Harvard admits that the conception of Abraham as the first Jew does not represent historical reality, yet he seeks to perpetuate this "myth" instead of admit that Abraham was a Horite ruler. Cohen admits that his portrayal of Abraham as the father of the Jews lacks historical support. He says, "Historically speaking, of course, this doesn't make much sense. It's hard to talk about Jews living around the year 1800 B.C.E. or anytime near that." Cohen admits that this view of Abraham as the first Jew is of a "mythic kind". He states, "So in a mythic kind of way we can say that Abraham recognizes God and that Abraham launches the process—biological and social and cultural—that will culminate in the people of Israel, who in turn will become Jews and the purveyors of Judaism." In this statement, Cohen gets one thing right: Abraham recognized God. So did his Proto-Saharan, cattle-herding ancestors. Some of Abraham's descendants by his nine sons can be identified as Jews, others as Arabs, and many others are of a mixed genetic heritage. Is Cohen attempting to sell the myth of Jewish purity? When asked in this NOVA interview whether Abraham was the founder of monotheism, Dr.Cohen states, "Ancient Jewish storytellers thought the answer was yes, and following them Christian storytellers thought the same. However, reading historically, we realize monotheism is a very difficult and elusive concept to define. Again, it's far too simple to say that Abraham discovers monotheism." The great Jewish gifts to the world - monotheism, the Ten Commandments, resistance against tyranny - were born in weakness in a group of tribes, then a kingdom, buffeted between great empires; nurtured in a series of bitter exiles; and annealed in genocide. This produced allegiance to a single all-powerful God who could protect them, a code of laws that maintained decency in the face of perversions of power, and a searing sense of injustice. It simply is not true that the Jews gave us monotheism. Monotheism existed in ancient Kush long before the Jews were identifiable as a distinct people. Archaeological and anthropological evidence indicates that the Horite priests as early as 3000 B.C. believed in a single supreme creator. The Ten Commandments is indeed a gift from Judaism to the world, though it has antecedents in the oldest known moral code, the Law of Tehut. Abraham's territory was in the region of Edom. Abraham was kin to the Horite rulers of Edom who are named in Genesis 36. This was the territory that Isaac received as Abraham's proper heir and in Abraham's time the Horites controlled a larger area than that identified as Edom 800 BC. The Bible and anthropological evidence indicate that Abraham's Horite ancestors originated in the Nile Valley. Nimrod, the son of Kush (Gen. 10), established his kingdom into the Tigris-Euphrates Valley. Nahor the Elder, his son Terah, and Abraham were descendants of Nimrod. They were ethnically Kushites and they belonged to the Horite caste of ruler-priests. 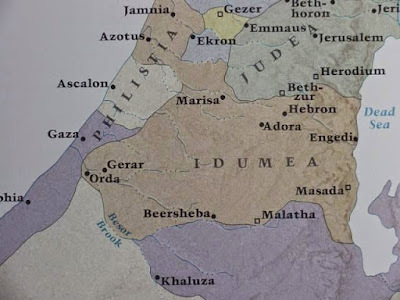 The Horites controlled Edom, Southern Judah, and a large part of Arabia. Among them are people who would be identified today as Arabs. Josephus reported that the descendants of Abraham by Keturah were called "Horites" and, quoting an ancient historian, speaks of them as "conquerors of Egypt and founders of the Assyrian Empire." The Jews claim to be descendants of Abraham through Isaac and Jacob, yet from the beginning the Habiru (Hebrew) lines intermarried, so that Jews, many Arabs, some Egyptians and Edomites share a common gene pool. Analysis of the Genesis king lists reveals that the lines of Cain and Seth intermarried, the lines of Ham and Shem intermarried and the lines of Nahor and Abraham intermarried. There was also intermarriage between these lines and the Horite rulers named in Genesis 36. DNA studies confirm the migration of the Nilotic Kushites out of Africa before Abraham's time. The Kushite rulers spread across a vast area of the ancient Afro-Asiatic Dominion, but the identification of a people called "Jews" came much later, after the Babylonia captivity. In Babylon the people of Judah experienced great suffering, far greater than that endured by their ancestors in Egypt. Zionism emerges out of their experience of exile and suffering. It is an expression of a people's determination to possess and control a land that they believe they lost. Unfortunately, political Zionism it is bolstered by Bible passages that were never intended to exclude the descendants of Abraham through all of his nine sons. These are sons to whom Abraham gave gifts. They ruled over territories as kings and viziers and all married and ascended according to the pattern of their Nilo-Saharan ancestors. The ethnic landscape of Palestine, Judah and Edom is complex historically. Peoples mixed more than is granted by the Jewish myth of racial purity. Anthropologically, some Jews and some Arabs have Horite blood. The true Horites did not mix with people outside their caste. The Horite ruler-priest lines intermarried. Genetics tells the story rather well. J1 and T1 have a wide dispersion: Anatolia, Yemen, north-east Africa, Saudi Arabia, Madagascar, the Fertile Crescent, and the Caucasus. These are the many places to which the archaic rulers dispersed, taking with them their royal priests. ZS227 is a subclade of J1. ZS227 includes the Kohen haplotype found among both Jews and Arabs. The Kohen modal haplotype (CMH) is the signature haplotype of the paternally inherited Jewish priesthood (Thomas et al. 1998). J1-ZS227 is one of the most common subclades among Ashkenazi people. So there is no doubt about the dominant priest lineage of the Ashkenazi, but their maternal lineage is not "Jewish" and therefore, by the accepted standard, they are not Jewish. However, they are descendants of the Horites. Zionism seems to me to be more of a political ideology rather than religious. Herzl was not religious and was from a secular family. As a matter of fact, the Haredi do not recognize the State of Israel because they believe only the Messiah can proclaim the Return. The Haredi are mostly indigenous orthodox Jews that never left even during the Babylonian diaspora. Even though Zionism led to the establishment of Israel as a Jewish state, that was not the original intent. 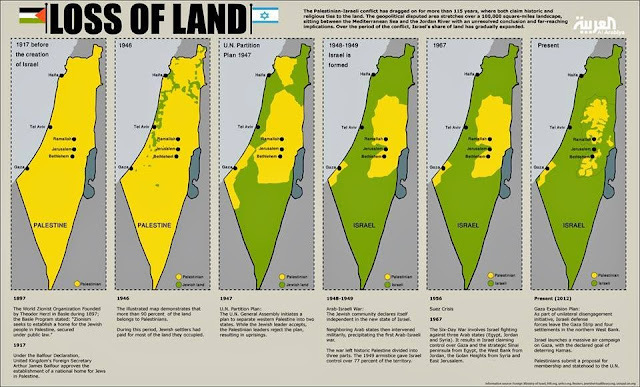 The Jewish people simply wanted a place where they could raise their children in peace. Many locations were considered, but Eretz Israel was the choice of the heart. I think Zionism was a secular movement. Yes, largely secular. And one can sympathize with the desire to be able to raise your children in peace. Juan C Del Valle said... "Monotheism might have existed somewhere in the world in ancient Kush and Egypt. But it was the jews who made it known in the world." Monotheism not only existed somewhere else in the world, but it originated and was given to the world by African indigenous cultures. Archaeological, ethnohistorical, and cultural evidence, clearly indicate that indigenous African cultures like the Igbo and the Yoruba were originators of cosmological and religious concepts found elsewhere in the world. The notion of a four-letter God YHWH, the Four Evangelists in Christian tradition, as well the concept of a sun god/godess, in Africa date back as far as 25000 BCE. Four is also the number of Afa which is the universal Igbo language and divination system, as well as the indigenous lingua franca which originated the Yoruban word Ifa (the name of the God of Divination). Historically and linguistically speaking, Igbo language is older than Hebrew, for as linguists tell us, Igbo was already a distinct language by 4000 BCE. Archaeological evidence also suggests that the Odù-Ifá of the Yoruba already existed as early as 6000 BCE, antedating by at least three millennia the Egyptian cult of Horus. William Bascom (1912-1981), a noted scholar of the Yoruba, as well as a leading anthropologist at University of California, Berkeley, brought to light evidence that demonstrates that the Yoruba were present 8000 BCE, which is 6000 years earlier then generally assumed. By contrast, Abraham, the founder of the Hebrew nation was said to have been born around 2100 BCE, which implies that the Hebrew nation and language as a distinct nation and language are not older than 2100 BCE. Accordingly the language similarities between Hebrew and Igbo provide evidence that Hebrew is a child of Igbo language and not vice versa. Thanks, Nenad. I'm not convinced that Hebrew is a linguistic child of Igbo, but I am fully convinced that the Hebrew language is more African than Asian. That said, there are unmistakable connections between Proto-Hebrew and the old language of the Ainu. Many of my African friends have noted close parallels between old Japanese words and African words. J1-P58 expanded across the southern Levant and the Arabian peninsula. The two most common Jewish subclades of J1 downstream of P58 are Z18297 and ZS227. ZS227 includes the Cohanim haplotype. Most of the other branches under P58 could be described as "Semitic" but the term "Semitic" is not very useful or accurate when it comes to classification of Abraham's Proto-Saharan cattle-herding ancestors in the L and R1b groups and their dispersed descendants in Southern Europe.